I anticipate the return of the back-to-school nightmares. The dreams about a fresh start back to school that end up in nightmares about not being prepared or things being out of order before the students arrive in their brand-new shoes and bright new uniforms. Can you relate? What back to school nightmares do you have? One thing I do to avoid these nightmares from becoming reality is to plan ahead. One of the first things I like to figure out is how to use the long list of school supplies that will soon take up the entire counter in my small classroom! All of my notebooks, whether spiral or composition, are used as interactive notebooks for the different subject areas, including math. I have most recently streamlined the process I have used for the last few years so that I can set-up notebooks in snap! 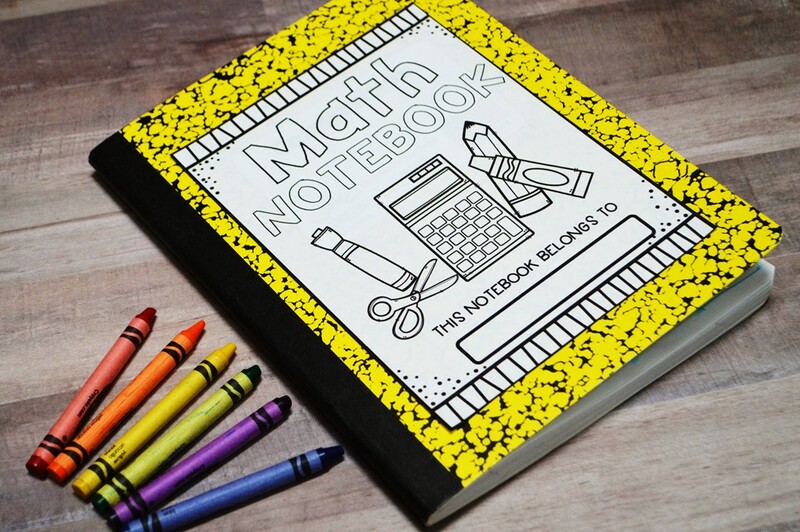 There are some essential pages that you will need when beginning interactive notebooks in your classroom. These pages are like the "front matter" in a chapter book. The pages, such as the title page and preface, that precede the main text of a book are considered "front matter." An interactive notebook also has front matter, including a title page, table of contents, and a rubric that precede the content-specific information that will grow throughout the school year. If you have this front matter ready and photocopied during the first week of school, you can start preparing your notebooks with your students. You can create the front matter yourself using my examples from the photographs or purchase these pages. Breaking up preparation for each notebook during the first couple of days of school works the best. It is helpful for getting the students back into the groove after they enjoyed their summer off. I try to have a whole class activity, which helps build the community of learners, and then have an independent activity to practice the acceptable voice tone, or voice level. I repeat this pattern for the first week of school and then begin our regularly scheduled days with specific standards-based content. 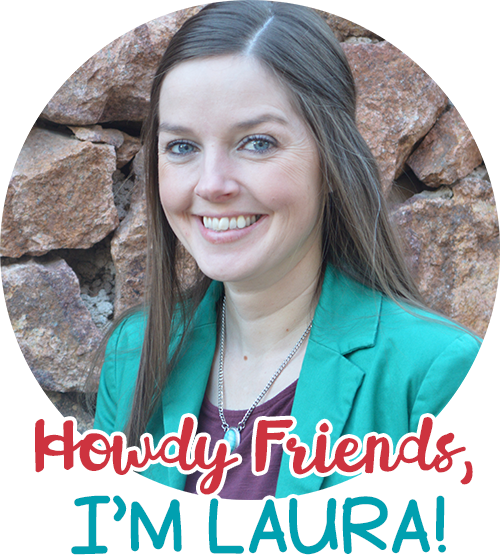 Read more about building a community of learners and a few of the activities I have used with success here. Throughout the first few days of school, we work on different components that can be found in all of the interactive notebooks we use for each subject. Create a blackline, or black and white copy, of a notebook cover. Minimally, the cover page of a notebook needs to have a place for the student's name and the subject area. If you rotate classrooms or the notebooks go back-and-forth from home to school, you may also want to add a room number where the notebook belongs. I like to use a blackline copy for the front cover as it encourages students to get creative and personalize their notebooks. This helps build a sense of ownership of their notebook and the items will be collecting in them as the year progresses. I also like to add a strip of colored duck tape to the spine of the notebook. Each subject is identified by a different color of tape. For example, all of the science notebook spines are green while the math notebook spines are blue. This helps students organize their materials. This is especially helpful for younger students sifting through their desks attempting to locate the correct notebook. Another way to denote important locating information on a notebook is on the title page. Many teachers like to include a title page as it resembles a reference book that you would access at the library. When preparing students for the real-world and teaching real-life applications, it is important to expose students to accurate information. Something as simple as a title page, can prepare students for researching topics as they advance in the education. Several teachers like to use a title page for additional information, including the teacher's name, class period (if applicable), and the school year. This can also be a place where students can get creative and personalize their notebooks too. easy with a table of contents. A simple table that includes the page number and title of the entry is most important. I also like to record the date of the entry too. A table of contents is one of the places that is most difficult to keep up with so you want to establish a routine. When students are directed to get out their interactive notebooks, they immediately open to the table of contents. By creating this routine, students know that the first thing that they are responsible for is recording the entry on their table of contents. I create an interactive notebook along with the students so I record the entry first and then use a document camera and overhead projector to show the students my entry. This is very helpful for younger students as they will need to copy the words into their notebooks. A grading rubric is another important element to feature in interactive notebooks as it presents the expectations for the notebook. I have two rubrics that I use including one rubric that measures the entire notebook and another rubric for checking individual pages. When grading a specific page, I give the students the opportunity to present their best work. I let them know in advance that a certain page number will be graded using the rubric. I do not grade each notebook daily. I usually spot-check notebooks. One of my favorite ways to do this is during recess. I ask the students to open up their notebooks to the page I want to check right before they leave the classroom. When I return from dropping off the students, I quickly walk around the room and check their entries. These are the essential components that I use in all of my interactive notebooks. Teaching routines and procedures for getting out their notebooks, recording information on the table of contents, and the expectations for notebook pages take some time at the beginning of the year. Once the routines and procedures are learned and practiced regularly, using interactive notebooks will become much easier. Students will beg you to create an entry in them before you know it! 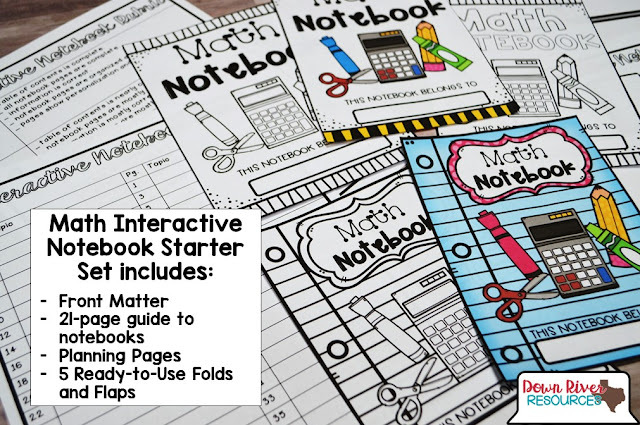 If you would like to use my interactive notebook starter kit, you can find it in my TpT shop. What are your secrets to setting up interactive notebooks?